I wanted to do something different for some cupcakes I made as a "thank you" gift for a few friends...so I decided to make them very colorful and "springy". Then start on your design...don't worry it doesn't have to be perfect (you'll see why). Its fun to experiment with different color variations and circle thickness. The great part is that every cupcake your design is different, which makes for a great presentation! Once you've covered your cupcake...take your toothpick and pull from the center to the edge...go all the way around (your lines could be really close or further apart...) and suddenly it will all start comin' together! These are adorable! I'm throwing a baby shower soon that is enchanted garden themed and these will be the perfect addition to my dessert menu! OMG! I wish this post came earlier! I made funfetti cookie mix with food coloring for a bake sale on Monday. But this is such a good idea I may do this too! this is what it turned out to, not too shabby but not as cool as yours! How super cute are these!!! Next time we make cupcakes, we'll have to try this or maybe we'll use the frosting idea on the cookies I promised my 6 yr old we'll make. Either way, I LOVE them! Hi! These are super cute! :) Great blog! Those are so pretty! I've never seen cupcakes decorated like that before. Beautiful and perfect spring colors! I'm already sold on your blog. These cupcakes are so happy! Awesome awesome!!!!!!!! How easy and fun! I had no idea it was that easy! What a wonderful idea! 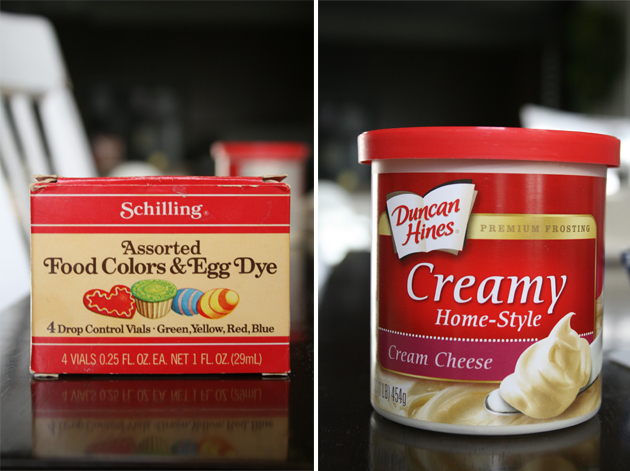 I love rainbow cupcakes, so maybe I'll need to add this colorful frosting! wow this is amazing!!! Love all the colours, this makes me feel happy. Thank you so much for sharing this. It's the first time I visit your blog but I already love it!!! Incredible idea!! You are so creative. I am definitely going to have to try this. I love this - I wish I had the patience to do something like this! I would love for you to link up this and some other posts at my Monday blog party next week. Your blog is wonderful. those are amazing!!! I love them! your so creative! i used to do these ALL the time with the kids i nannyed for- using the gel frosting- so much fun and perfect to use for halloween with white/black for spider webs! 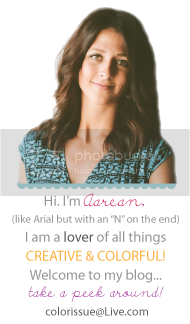 love the concept of your blog!! id love to swap buttons with you too! please check out my blog and let me know!! wow, this is a seriously cool idea. thanks so much for sharing! Those look amazing! And how do you make the blinky picture thing (is it called a GIF? Hopefully you know what I mean, haha)? They're so cute! yes mam...it most certainly is! LOVE!!! Going to make these for my Sunday School kids. BTW- Just went to Target this afternoon and saw there awesome "COLOR" display as soon as you walk in the door, and I thought of your blog. Have you gotten to see it yet? yes I totally have seen it...and I LOVE it!!! What are the odds huh!? haha I think COLOR is very much IN this season...I am seeing it everywhere! SO YUM! Love these! Super cute! stop it. these not only are gorgeous -- but they look delicious too! OH, those look SO TASTY! And I don't even think that's my pregnancy talkin'. Thanks for sharing! I'm totally telling my momma to do this! OK, you're an ARTIST! Really, I could't do this... fantastic! you are amazing. those are so cute ;) great job!!! So simple and so beautiful!! You're genius! that looks SO much fun! and colorful, love it! Thanks again, for visiting mine. You got yourself a new follower. These are sooo fun! I have to try this! wowwwwwww..... i thought all the fun was in the funfetti cake... obvi I didn't introduce colored frosting to it! love it!!! Yum, yum these look so delicious!! So so cute! What a good idea!